Hi, Thanks. Yes, they are velux windows. The bed is Charles Rogers. 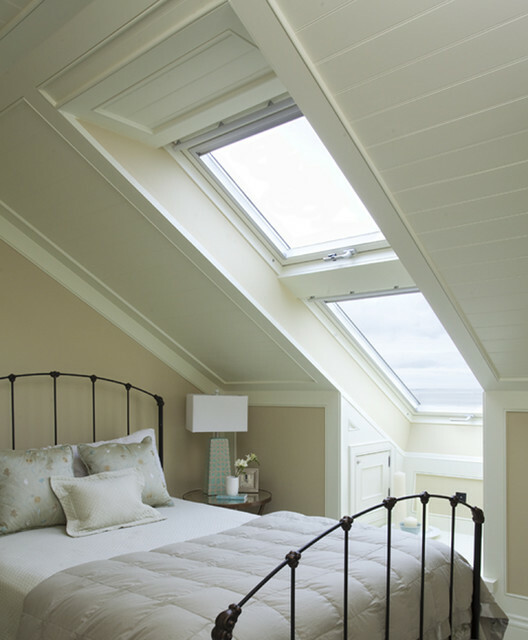 Do the skylights have a window covering, and if so, what kind? 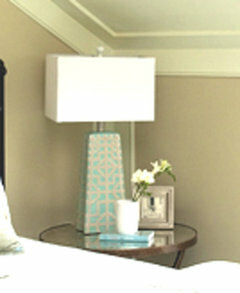 lamp - Can you tell me more about the lamp on the nightstand? Hi Melinda, I do not have specification information. My client brought this lamp back from New York, I can attach a close up, if this helps.